I know I’m not the only one out there that loves nachos. Go ahead and try to pretend like you are above the cheesy, goopy, stick to your arteries nachos, but I am totally not buying it. In fact, I’d even go so far as to say that you probably cannot resist nachos. 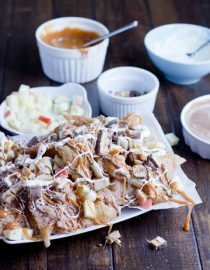 You may not think about them, but if you’re at a baseball game and your friend plops down on the bench next to you, you know you’re going to snag one of those cripsy, cheesey, delicious… oh my gosh I need nachos. CRAP. Good thing I’ve got Tropical Nachos. 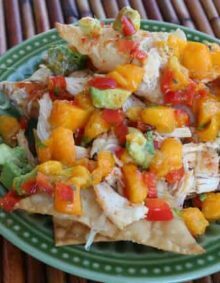 Now, we’ve already established that as cool, and healthy as we believe ourselves to be we cannot turn down a plate of nachos, let’s talk about how much better they are as dessert. MMMMMMMMM Chocolate. First of all, I will completely admit that I am a cheese lover. Yup, cheese over chocolate. Every. Single. Time. Well, not this time. It all started with the wontons. I recently judged a funeral potatoes contest at the state fair. (Psst, don’t worry, I had no clue what funeral potatoes were until I moved to Utah. I hate to admit it, but they are awesome! Oh cheesy deliciousness) Anyway, Mr. Handsome and I reaaaaaallly wanted an elephant ear while we were there, but alas, we didn’t really have enough time, so we headed home. The next day I still wanted one and when I saw the wontons in the fridge they sparked an idea. 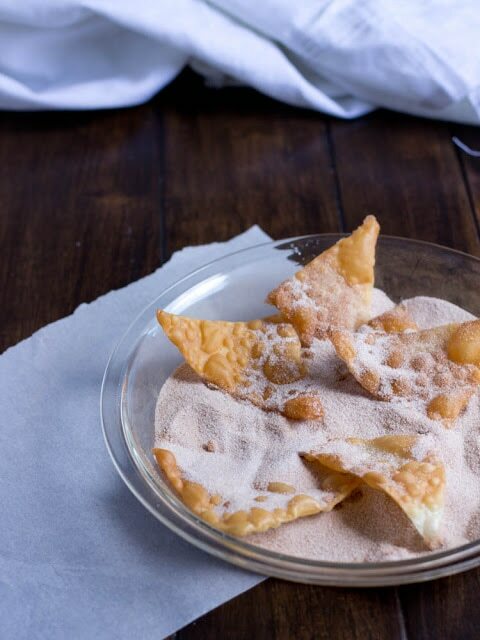 Fried wontons in cinnamon sugar! Oh!! And then I could use the caramel from the contest, loads of chocolate and candy bars. oh heavens. Let’s just say I got pretty full that afternoon, and while I may not have thoroughly enjoyed all three football games Mr. Handsome watched that day, I did enjoy the food. Are Won Ton Wrappers High In Carbs? Won ton wrappers are not real high in carbs. Each won ton wrapper contains about 4 carbs. Unopened won ton wrappers will keep in the refrigerator for quite a while. Once opened, they can be kept for about a week in the refrigerator. You can freeze won ton wrappers for up to 2 months. What Apple Can You Use Instead of Granny Smith? 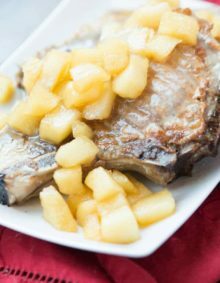 Honey crisp, gala, and fuji apples have a similar texture and flavor to granny smith apples. Place the cinnamon sugar in a pie plate, set aside. Chop the snickers, and set aside. Chop the apple, and set aside. Heat a large, high edged skillet over medium high heat, with oil about 1/3 the way up. Once the oil starts to pop, start adding the wontons one by one. Allow them to cook until almost golden and using tongs or a spider, flip the wontons over. Once they reach golden they quickly turn dark, so it is truly best to flip right before that point. 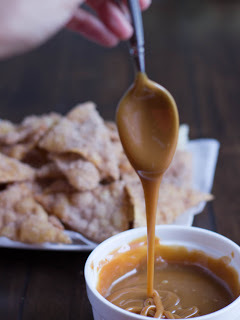 After they have drained a moment, add them to the cinnamon sugar, tossing to coat. Place the caramel in a microwave safe dish, heat on high for one minute, stir and heat another minute at 50% power. Stir again and if needed continue melting at 50% power in 30 second increments. Melt the milk chocolate and the Mercken’s white buttons in separate bowls, by placing them in the microwave at high power for 30 seconds and then 50% power for 30 second intervals until the chocolate is almost smooth, stirring at each interval. Remove from the microwave, and stir until the remaining little chunks melt. 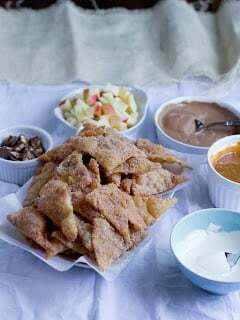 Place the cinnamon sugar wontons on a large platter, top with apple, candy bars chunks, caramel, chocolate and a sprinkling of sea salt. Nachos? YES! We do them as a dinner at least two nights a month. Served with all the fixins’ 🙂 Never thought about sweet ones, but will try anything once. Wow! That looks amazing! No doubt it'd be worth blowing the diet for! Cheers!! Now I know what I'll be craving all weekend! Oh my gosh! I could climb through the screen for that! YUM!!! I vote you bring these with you the next time we get together. WOW! Incredible! YUM! So happy I stopped by! 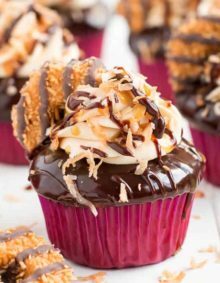 Oh my goodness – this looks AMAZING!! Can you send a plate my way? ?